India Incubates Design: What is a Design Business? Image00: NDBI Magazine launched today. More at this site. The National Design Business Incubator (NDBI) was set up at the National Institute of Design (NID) about five years ago with support from the Department of Science and Technology (DST), Government of India. It has now matured into a Section 25 Company with an infusion of funds from the Department of Industrial and Policy and Promotion (DIPP), Government of India when it has received a grant of Rupees 10 crores (Rupees 100 million) to be disbursed to design business incubates over the next four years. Image01: NDBI incubates meeting Ajay Shankar and Renu Sharma from the DIPP at an informal photo session and tree planting ceremony at the NID Paldi campus. Today morning the Secretary, DIPP, Ajay Shankar IAS, and Joint Secretary Renu Sharma, IAS visited NID and the NDBI for a special function held at the NID auditorium to disburse the first of the many design incubator grants under the programme called the NDBI’s Venture Ready Fund (NDBI-VRF). Three startups were funded today with seed money to kick-start their design based enterprises, the first in a long series of such investments that are planned by the NDBI with the support of the DIPP as reported by the NDBI CEO Mahesh Krovvidi at the inaugural function this morning. Mahesh reported that so far 13 startups have been given support with funds from the DST and a new phase has begun with support from the DIPP. Plans are afoot to launch more centres to incubate design business in Pune, Delhi, Hyderabad, Guwahati and Bangalore to include 400 designers within 100 startups and which could provide direct employment to over 1000 design and support staff over the next 5 years. Reliance Venture Fund has already supported one startup that is has a patented product offering and is already doing a road show in the US to generate new business for its products with a grant of Rupees 1.5 crores. 17 startups are already lined up for the new centre at Bangalore for which the NID Rajajinagar site will be mobilized as the next major venue for the incubator. Image02: Ajay Shankar and Renu Sharma visit NID exhibits showcasing potential projects done by NID students and faculty at the campus along with meetings with NID and NDBI management teams. Pradyumna Vyas speaking at the function called this event a historic milestone and he requested the chief guest to release the first NDBI Quarterly Newsletter and Renu Sharma released the book of profiles of the NDBI startups which was followed by the handing over of the first grant cheques to the three selected incubates to receive the first ever offerings under the present scheme of the Government of India for design businesses with this DIPP support to the NDBI. The NDBI Newsletter gives several examples of new business initiatives started by the incubates as well as the proposals that are in line for future funding. There is a buzz on the NID campus and many students have offered their products to be showcased as part of this new and exciting development. The Government seems to be finally loosening its purse strings when it comes to design and design supports in India. 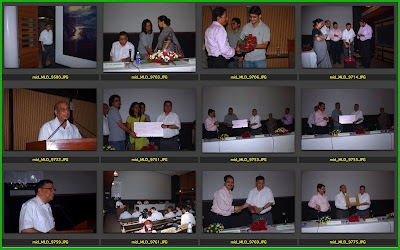 Image03: Images of the simple event at the NID Auditorium for felicitating the first batch of Design Business Incubatees supported by the DIPP fund. The Secretary DIPP, Ajay Shankar IAS, spoke at some length about the changing perceptions about design in India and he mentioned the encounter that he had with the NDBI exhibit in Bangalore two years ago when he had mooted the idea of an incubator fund to take the collection of new and innovative items that were on display in the Design Idea Fair that was held on the sidelines of the CII NID National Design Summit of 2007. He spoke of a change towards a green society where sustainable innovations would have a place and urged the NDBI incubates to forge a path forward on two fronts, that of innovation and on the other hand the path of design with branding. He recalled a meeting of a highly respected economics forum where the founder of IKEA, Ingvar Kamprad, was honored much to his surprise, when he saw an entrepreneur being given a platform for the promotion of good design, which by his admission was an unusual event. He urged the young entrepreneurs to read the story of the worlds richest man's, Ingvar Kamprad's, path to success in building an 80 billion dollar enterprise on a simple mission of bringing good design to the masses in his book “Leading By Design: The IKEA Story”. He also recalled an early exposure to design and entrepreneurship when he was a student in the USA when he saw a Professor from the MIT incubate a company based on his research work on sound quality of speakers and he retold the story of the Bose Corporation that had a premium on all its products by virtue of its quality. Image04: Visit of the visitors and incubates to the NIDUS store at NID followed by the meet with incubates at the NDBI premises. The entourage moved from the NID Auditorium to the NIDUS shop on the NID campus and then on to the NDBI to meet the young entrepreneurs and see their current offerings after which we assembled at the NID Board room for a session with the NID faculty. This was a highly unusual event and each faculty member present introduced themselves and gave a brief statement about what design meant to them and what they had on their mind for the future of their discipline in the days ahead. In all this was a most satisfying session and I have requested NID to share the video tape of this event with our students and our alumni at an early date. This kind of vision sharing has happened internally over the years but rarely have we seen it in the presence of the Secretary and Joint Secretary of the DIPP who handle the finances of the Institute as well as the policy perspectives for design in India. I hope that this will have long implications for the future of design in India just as the ripples from the design incubation that has finally happened at NID today with Government support for the first time in the history of the Institute and in the history of design in India. In all 37 faculty members were present at this meeting along with the NID Director, Pradyumna Vyas and Mahesh Krovvidi of NDBI. Unfortunately six faculty colleagues from Paldi and Gandhinagar were missed here today and we also missed the Bangalore colleagues who could not make it to this important event at the Paldi campus. Image05: Meeting with NID Faculty at the NID Board Room facing the lawns. A stimulating session. While the thoughts are active about the new role for design in India through the incubation possibilities we need to look back at the past fifty years of NID’s efforts to build a profession in India and we now see hope that there may be a thaw in the attitude of Government to the fledgling discipline that has been so under funded and ill-supported when compared to the investments that have been made in the science, technology and management sectors in India. The incubation supports for the technology sectors have been in place in many sectors and the faculty too of those sectors are provided supports and a status that design teachers are yet to see in India today. This too I hope will change in the years ahead and we come out of this long thaw with these changes in National Policy particularly with the implementation of the National Design Policy in the days ahead. I must not forget to mention the hundreds of NID graduates who have managed to incubate their design businesses over the years in a very harsh and unforgiving political, governmental, industrial and business environment in India and have come out with flying colours and it may be an appropriate moment now when NID approaches its 50th year of existence to map out their journeys too for all our policy makers to see and appreciate that design is like a potent seed that needs to be nurtured if it is to flower and bring wealth to our nation and this map will also be a beacon for many young designers to follow. The Government of India set up the National Institute of Design in 1961 through a stroke of madness or of sheer genius. This was a visionary move far ahead of the norms of the day when science and technology were the ruling deities in the country and many institutions were established across the land. This particular move was aided by the visionary document that was drafted by the Eames couple in 1958, called the India Report and fondly known as the Eames Report. The report called for sober investigation into those values and qualities that Indians hold important to a good life…. Image01: The Eames India Report and the famous quote about the role of design in India and its relevance to the grassroots level. On the 29th of June 2009 I was invited to speak at the National Institute of Design (NID) Auditorium on the occasion of the World Industrial Design Day. I chose to expand on the personal journey that I have had at NID and in that my own reflections about the evolution of design thought and action at NID. The pdf file that formed the slides for my hour long talk as well as the voice file recorded during the lecture are available for download from this link here as “Evolution of Design.zip” that contains two separate files, a pdf file with all the images and an full length MP3 voice file (38.6 MB zip size) that can be viewed together if downloaded. This event gave me the occasion to reflect on the origins of NID and the early years of the Institute that was modeled like a clinical hospital with concurrent teaching and practice where the faculty and students were involved in handling design projects together and over the years many live and vibrant projects of national importance were addressed and through these the design culture at NID evolved as teaching and learning progressed at the Institute while the market for design services matured in the country. Download Evolution of Design show and lecture here as a zip file. Image02: The early years of NID education and practice from 1961 to 1975 saw the development of a campus for design education at Paldi in Ahmedabad and a number of significant projects that were handled by the institute where students and faculty worked closely with international consultants to deliver amazing results of high quality benchmarks in the early years of its existance. Fortuitously the first major project was the Jawaharlal Nehru Memorial Exhibition which brought Charles and Ray Eames and their team back to NID to work with the young team of faculty and students from the first PG course in Visual Communication. Product Design education started soon thereafter and many professional projects were handled by the faculty in those years. Significant projects from that era were assembled as part of an NID brochure that was prepared in 1998 called the NID Milestones and I used the pictures from that presentation since they were available in an organized manner. However these do not cover all the significant projects that were done by NID over the years since that will be the subject of a huge research project that is still to be done by someone in the days ahead. 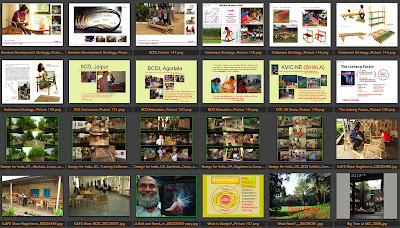 However this presentation does cover the projects included in the Milestones brochure of 1998 and the images here show the thumbnails of the pictures shown in sequence as they appear on the pdf presentation that I used for the lecture at NID. The early period included many major identities for Indian corporations and shown here are the symbols for Indian Airlines by Benoy Sarkar, State Bank of India by Shekhar Kamat and the Operation Flood for the National Dairy Development Board by Vikas Satwalekar. The caption below each thumbnail picture has the year in front followed by a cryptic description and some identification of the individuals in the picture or the initials of the designers behind the project that is represented here. The voice file would have some further description when each of these were shown on the screen for the audience at my talk. Download “NID Milestones 1961 to 1998 from here as a 2.1 MB pdf file. Image03: The period between 1975 and 1985 saw some significant communication design projects with Ashoke Chatterjee as the Executive Director at NID. The Agri-Expo was perhaps the single largest design projects where the whole school with the exception of the foundation programme was involved in actively for many months in the research, design and execution phase of the massive exhibition project which was a true multi-disciplinary treat for all participants. NID in those days lived up to the model of a design school as a clinical hospital where all the faculty and students were engaged in live projects inside and outside the classrooms. Pure Industrial Design projects were few and far between since Indian industry did not see the need to innovate in the “license-permit raj” of the day nor did Government have a vision of the potential uses of product design for the social needs of our country. The Jawaja Project that commenced in that period was an exception and Prof Ravi Matthai and Ashoke Chatterjee drew NID and the IIMA into a partnership that went on for many long years to bring the village needs to both the design and the management schools attention. Doordarshan the Indian Television channel got its symbol through a classroom assignment where the offering made by Devashis Bhattacharyaya a student of Visual Communication as part of the class explorations, a real life client inside the classroom and this set the tomne for the decades to follow. 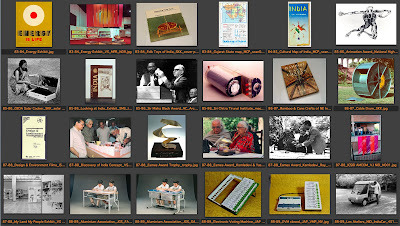 My own project where I was the Project Head, that made the Milestones list, was the Manipur Pavilion that was done in 1981 for the State Government of Manipur using the considerable research that we had already done for the Bamboo & Cane Crafts of Northeast India that was a book still in the making. This project won the Gold Medal for the State category at the India International Trade Fair at New Delhi and it brought me some personal recognition too and a place in the NID Design Office in the 10 years to follow. 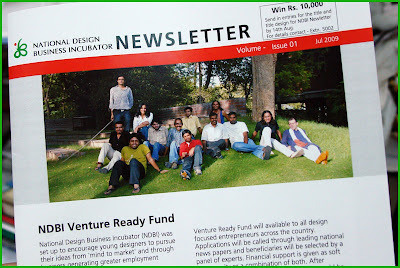 This gave me a vantage point from which to look at all the NID projects as the then Chairman Design Office and along with it came a huge body of experience in managing diverse projects that flowed into the Institute from a variety of sources. Image04: Two significant events shaped the decade of the 80’s at NID and this was the arrival of the Sir Misha Black Award for Excellence in Design Education that was bestowed on the NID programmes by the Design Council, London through a function at NID when Ashoke Chatterjee was given this honour on behalf of NID and the second was the Award of the First Eames Award to Kamla Devi Chattopadhayay with the award being given to Kamladevi by Ray Eames in the presence of Prof Yash Pal the then NID GC Chairman and Vinay Jha who was the Executive Director from 1985 to 1989. With Vinaj Jha came many industrial design projects and the most significant amongst these was the design of the Electronic Voting Machine for the ECIL and the Election Commission of India besides a surge of new industry contacts and a renewed association with ICSID, the international body for Industrial Design. Mega projects in Communication and exhibition design continued in those days but a new fresh crop of product design and craft design projects came up through Government contacts as well as efforts to build bridges with the Confederation of Indian Industries (CII) besides active collaboration with a few Indian companies that showed some interest in indigenous design. These were tough years for Indian product design and on an average one project materialized from out of about ten detailed and actively followed up project proposals, a huge body of experience for the faculty concerned but little to show by way of results. However while reflecting on these years in a paper that I wrote in 2001 for the first National Design Summit I called this phase a period of struggle that supported the “blossoming of cactus flowers in a desert”, commenting on what for me was India’s innovation stifling landscape in those pre-liberalisation days. Download “Cactus Flower” paper and presentation, both in pdf format from here as a 14.1 MB zip file. 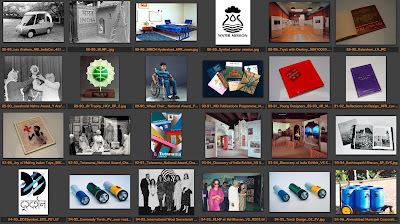 Image 05: The late 80’s and early 90’s saw the setting up of a formal Publications Programme at NID and many significant exhibition design and industrial design projects were undertaken by NID designers. The area of social communication found special attention with the missions on water, Health and Family Welfare and the Festivals of India brought in more projects such as the My Land My People that traveled to the Soviet Union. 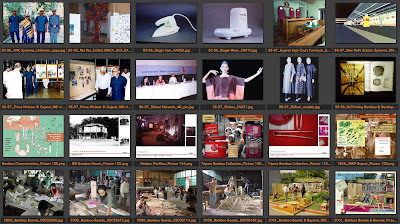 Vikas Satwalekar took over as NID’s Executive Director in 1989 and while many massive exhibition projects were undertaken by NID we also saw a substantial increase in product design and craft design projects coming to the institute and a stable flow of corporate identity projects continued without break. I switched from the Design Office to become the Chairman of NID’s Publications and Resource Centre in 1991 and we were able to launch many new books and establish a design publishing house with strong linkages with the book trade in the country for a limited period but this could not continue due to changes in internal policies. We started the Young Designer series that captured for the first time NID student projects within the covers of an annual publication that continues to date. The Milestones brochure missed all the craft design projects in textiles and handicrafts that continued all through these decades almost as if these were all flying under the radar of both internal as well as external attention. Also missed were the hundreds of corporate logos and other graphic design assignments that were perhaps too numerous to be seen as major landmarks in the NID design journey through the decades. The Bamboo book (Bamboo & Cane Crafts of Northeast India) which was published in 1986 lay dormant for many years till the UNDP came to NID in 1998 asking us for a vision report for the development of the bamboo sector in India, a project that was assigned to me which spelt the end of a long drought in the flow of funds for design in the bamboo sector, at least from the NID perspective. 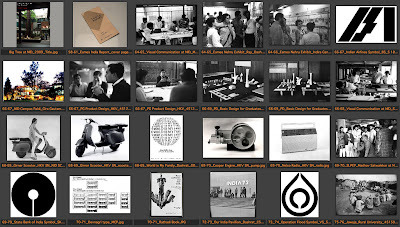 Image06: The last of the Milestone entries from 1995-98 are followed by my own articulation of the bamboo story at NID which I used to summarise the insights from the many years of watching design thought and action unfold before my eyes as an observer and a keen participant in the evolution of design at NID. Significant bamboo projects shown are the bamboo house of 1969-70, the Manipur project 1981, Tripura bamboo collection of 1986 and the Bamboo Boards & Beyond 2000-01. What was significant about the evolution of design at NID was in my view an unfolding of many convictions about the nature of design and the fact and realisation that neither the Government which continued to fund NID nor industry that had intermittent engagements with the institute had any real clue about the deeper value of the design offerings that were coming out of this very small institution located in one corner of the country, in far away Ahmedabad. Our graduates were making their mark in a number of sectors with graphic design being the most visible of professions but in a number of other sectors our graduates were climbing up to be recognized as leaders in their own creative fields such as animation, television, advertising and in the industrial design areas in textiles, engineering goods, consumer goods and most of all in the crafts sector all over India. Many of our graduates had set up their own business ventures that were doing significant work in crafts and textiles – retail and exports, furniture manufacture and interior, design consulting in graphic design as well as a small number in the area of product and industrial design. However during this presentation I had chosen to focus on the lessons from the Bamboo Initiatives at NID in which I was closely involved along with a number of faculty colleagues as well as a very large number of students whom we were able to provide sponsorship that covered materials, travel and in some cases stipend for diploma projects which have been reported as part of our Centre for Bamboo Initiatives reporting earlier on this blog. Download CD ROM “Bamboo Board & Beyond” as a 550 MB zip file here. Download CD ROM “Beyond Grassroots” as a 560 MB zip file here. Image07: Highlights of numerous bamboo and design projects from 1998 through to date along with the insights about the evolution of design and from these on to an understanding of the nature of design as we know it today. I call this journey the discovery of deep design at NID and look forward to the next 50 years of research and discovery. While working with bamboo and with people at both ends, at NID and in the field, the linkages between design offerings and its effect on the people become visible quite slowly, just as a seed that germinates in a fertile climate may lie dormant for many years in a hostile environment, it so with design which needs a favorable climate in which it can grow and take root so that the benefits can flow to the people for whom it is being carried out in the first place. A number of insights were gained from the early design efforts which paved the way for new offerings and changes in our strategy that called for a shift from product focus to people focus in the field and through this the creation of a number of new institutions that could provide sustained supports that can help establish the deep value that the design efforts attempted to provide. The Iceberg Factor and the What is Design? Slides seen in the image above deal with the hidden dimensions of all complex design offerings and the need for extensive exploration and nurture as a core value of the design process which are not visible till the process has developed to a more mature level. This is a perennial dilemma in design support since we are face to face with a chicken and egg situation where supports are only forthcoming when some demonstration is made and demonstration is only possible when some faith is reposed in the design offering and it is given visionary support for the explorations and the maturation to take place. Will the next 50 years be better for design in India? Will we have a Ministry for Design that understands thus dilemma and provide the necessary supports to make Deep Design flourish and provide the much needed solutions that address the real quality of life issues that Charles and Ray Eames had talked about in their India report of 1958? Only time will tell.